At five-years-old my parents agreed to buy me a pony if got up early every morning to help my Auntie with hers, thinking that this would put me off. By my birthday in January I had done it, and that’s where it all started. By 12-years-old, after doing all Pony Club and Riding Club activities, I discovered my love of dressage. The perfectionist in me loves the detail that dressage involves. Aged 13 I had outgrown my pony, so my very supportive parents bought me Whispers. I still own Whispers now and we are competing together at PSG. It was a big jump, as both Whispers and myself were so young and still learning. However, it worked, and without my parents knowing it they had just stated my future career. I was very successful with Whispers, who I have competed at the Nationals in every level from Prelim to Advanced Medium, while remaining in full time education. During my A-levels I started teaching in order to help my friends out. It was then that I fell in love with just how rewarding teaching could be. I was soon doing enough teaching to warrant us moving house, in order to have my own business base. 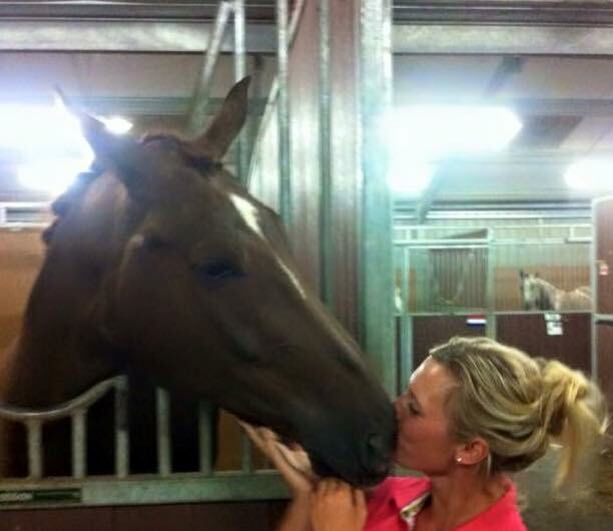 It’s a dream come true now having the horses at home. At home I have Whispers – a 13-year-old bay mare who is competing at PSG. My aim is compete at international level with her and get to under 25’s Grand Prix. Salvator is a six-year-old bay gelding who was bought as a project between Jake Elliott and myself. Salvator surprised us all with his success by qualifying for all young horse finals. He has scored up to 79% and has qualified for National Championships three times already. I can’t wait to see how far he is going to go. Jazz Queen is a four-year-old chestnut mare. We have high hopes that she is going to follow in the footsteps of Whispers and Salvator. We are hoping to enter her in her first show very soon. My ultimate aim is to represent Great Britain. I have been selected on two occasions as a Young Rider, but never made it due to small horse injuries. It’s just been bad timing, but that’s what makes it so addictive. When things don’t go as planned, don’t give up, and just think of a better plan. I believe in mental preparation. Before a big competition I plan lessons, warm up competitions (which I like to call dress rehearsals) and choose parts of a test to practice in each session I ride. At a show I like to visualise riding the test in the arena. With this preparation you can then enter the arena believing that you can win. One memory that especially stands out when competing Salvator in a Young Horse Qualifier is having learnt the wrong test. I only realised as I watched the horse before me go down the centre line from a different rein to what I had been practicing. In a mad panic we managed to find the correct test and a friend to call it. It was the five-year-old FEI test (which I was avoiding as I thought that it was too difficult) and was full of movements that Salvator had never attempted before. Sometimes you just have to laugh it off and go with the flow. It’s meant to be fun after all. 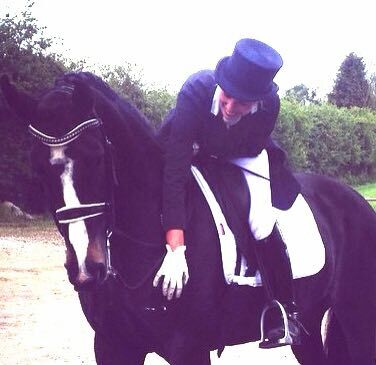 We came second that day and qualified for the Hickstead finals. You never know what can happen, so dream big. Are you interested in reading more ‘Trainer in the Spotlight’ features? Don’t miss our other great trainers from across the disciplines.